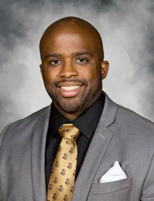 LEESBURG – Parents, students, staff and other community members are invited to join new Leesburg High School Principal Michael Randolph for a roundtable discussion at 6:30 p.m. Tuesday, July 11, in the school auditorium, 1401 Yellow Jacket Way. Mr. Randolph will discuss his vision for the new school year including changes at Leesburg High and partnerships with the surrounding community. He will address questions from the audience as well. This will be the first of more community discussions that will be planned throughout the year. For more information, contact Leesburg High School front office at (352) 787-5047. Recently, I received a call from a business owner who was bemoaning his fate, unhappy with his customers and generally complaining about his business. What was his problem? From his point of view “everything.” In reality he was struggling with lack of money stemming from poor cash flow ….which is what we all see as the first sign of trouble in any business. After all, while some of us have esoteric or a high moral reason for being in business, for a majority of us it’s MONEY! Cash Is King! Business survival is based on cash flow. You need to control it, manage it and handle it with care. The success and very survival of your business is dependent on planning and control. Be sure all paperwork is correct – POs, invoices, shipping docs, bank a/c info. Go on offense and overcome your biggest business challenge: CASH FLOW! Review your business plan regularly and if you don’t have one – it’s imperative that you write one! Email rosann@theroartgroup.com and we will be happy to send it to you. The annual Teacher and Staff Appreciation Breakfast will take place on August 8th this year. It will be held at Lake Sumter State College and will be for all Leesburg Area Schools. The expectation is to reach over 1,200 teachers and staff. This event is held each year by the Leesburg ARea Chamber of Commerce and is a perfect time for you and your business to say thank you to one of the most crucial parts of this community, our educators. There are ample opportunities for you to become involved, large and small. 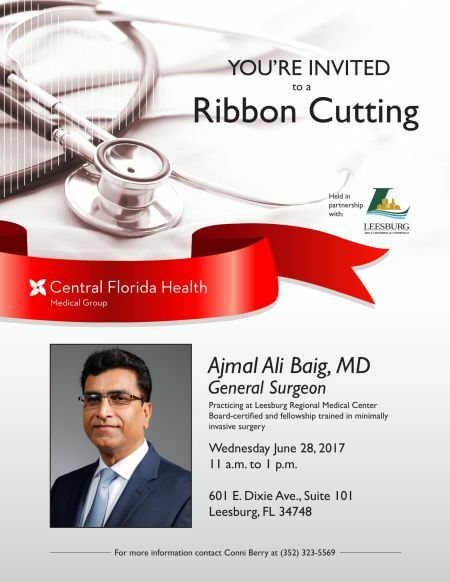 If you would like more information on the sponsorships and/or needs of this event please email Danielle Parker @ daniellep@leesburgchamber.com or call the Chamber office at 352.787.2131. Leesburg Area Chamber of Commerce opens in the Historic Mote-Morris House. Leesburg, Florida – On Thursday, March 16, 2017, at 5:30 p.m, Leesburg Area Chamber of Commerce will open its doors as the new Leesburg Visitor and Welcome Center located at 1195 W. Magnolia St., the Mote-Morris House. 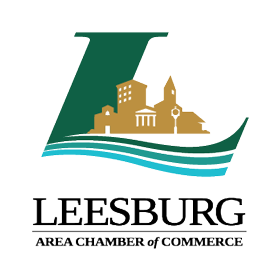 The Leesburg Area Chamber of Commerce office has approximately 3,000 visitors a year inquiring about Leesburg. The Chamber has partnered with the Leesburg Heritage Society to stage the house for self-guided tours and open as the Leesburg Visitor and Welcome Center. The Mote-Morris House, was built in 1892 for eight-term Leesburg Mayor, Edward H. Mote, and his wife Lucretia, and was added to the National Register of Historic Places in 1974. In 1918, the home was sold to John S. and May James Morris and a member of the Morris family would live in the house for the next 70 years. The Mote-Morris House is a fine example of late Victorian Architecture. It is a combination of styles, including its four-story turret, and two-story bay on the east side of the house. It is one of only a few original residences remaining. The house was built shortly after the town was platted and has had only minor changes in its 125-year history. Leesburg Visitor and Welcome Center will host self-guided tours Monday thru Friday from 10:00 a.m.-3:30 p.m. Large groups are welcome with reservation. To reserve your tour today, please call 352-787-2131. Join us Thursday, March 16th at 5:30 p.m. for the Leesburg Area Chamber of Commerce’s March Business After Hours and Open House as we celebrate 125 years of Mote-Morris House history, a historical Leesburg treasure! 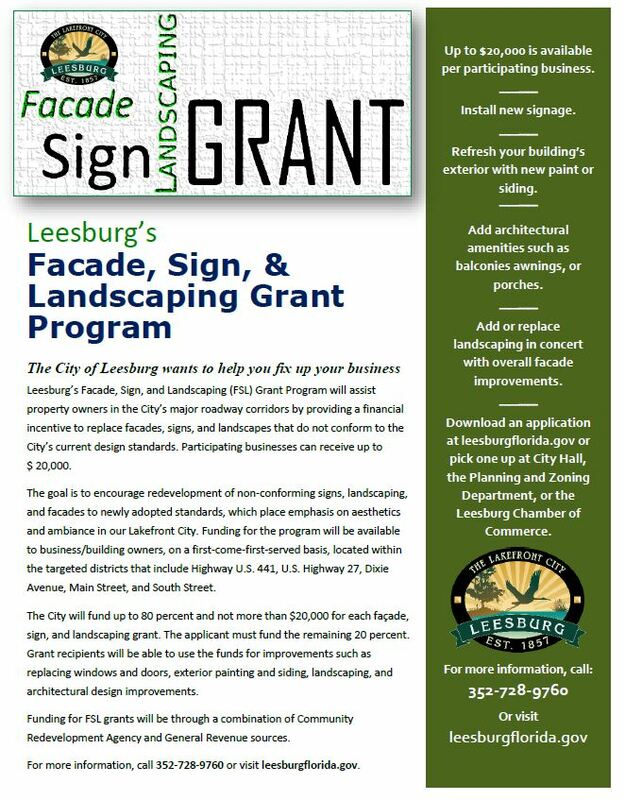 For more information, please contact maria@leesburgchamber.com. Visit leesburgchamber.com. 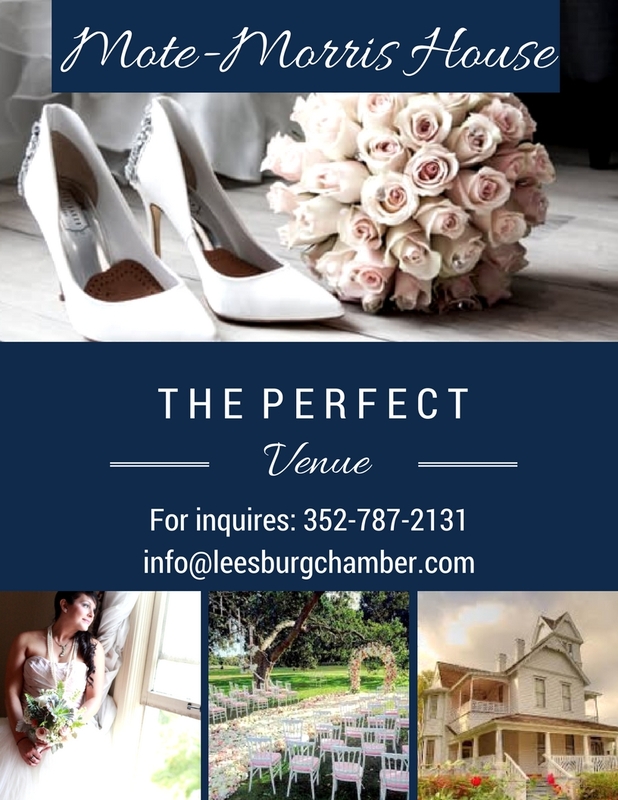 Charming and Romantic Leesburg venue; the Mote-Morris House is now managed by the Leesburg Area Chamber of Commerce. Leesburg Area Chamber Foundation raises $15,800 for Leesburg Community Schools. Leesburg, Florida – On Sunday, October 2, 2016, partners Leesburg Area Chamber of Commerce, Style Magazine and co-founder of Ketel One Vodka, David Van de Velde, joined forces to organize a fundraising event at Fairfax Hall in Arlington Ridge that included a 7-course vodka infused dinner, concert, live cooking demonstrations and laughs. 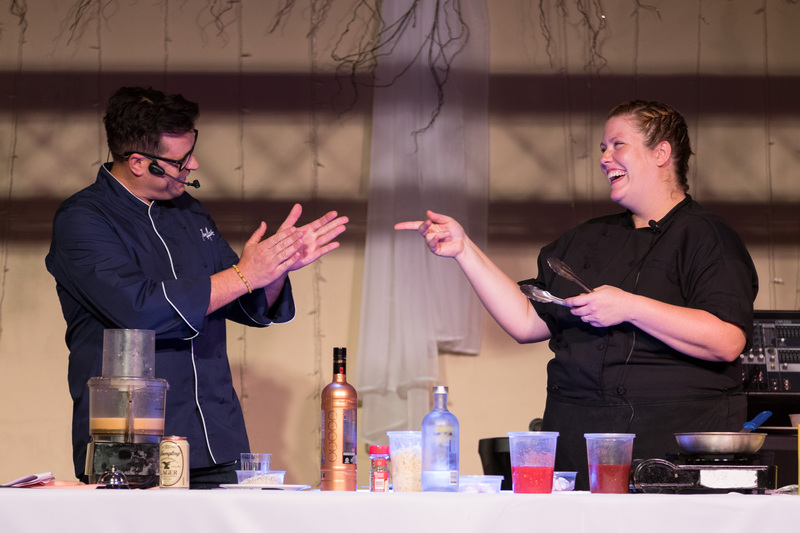 Celebrity Chef Jon Ashton took the stage as the evening’s Emcee, as local chef’s Vic Donahue II, Jessy Flinn, Cody Workman and Jon Bell demonstrated how to prepare the dish while 35 students from the Leesburg High School Culinary department served that dish to the audience. Entertainers; 3 Tenors and a Soprano serenaded the audience with familiar ballads from the Phantom of the Opera, and Les Miserable. During the evening, winners of the Cooking with Vodka Recipe Contest were announced, First Place Winner, Carole Iberer for her recipe, “Three Berry Pie with Blueberry Vodka”, Second Place Winner, Don Moreau for his recipe, “Shrimp and Sausage Gumbo” and Third Place Winner, Gary Neumann for his recipe, “Screwdriver Tenderloin” and each were presented with an award. Recipes from the evenings dinner are available on the https://leesburg.cookingwithvodka.com/. The event raised $14,000.00 towards Leesburg Community Schools for special projects and an additional $1,800.00 was raised at the event and gifted to the Leesburg High School Culinary Department. Thank you to Plaza Cadillac, Lake Eye, Fross & Fross Wealth Management, Bennett Law Center and LRMC Foundation for sponsoring this event! The Leesburg Area Chamber Foundation is a 501 (c ) 3 that fundraises to raise money for Leesburg Area Community Schools in partnership with the Leesburg Area Chamber of Commerce’s Education Committee. Promoting Progress and Profit in the Leesburg Area! For more information, please contact maria@leesburgchamber.com. Visit leesburgchamber.com. 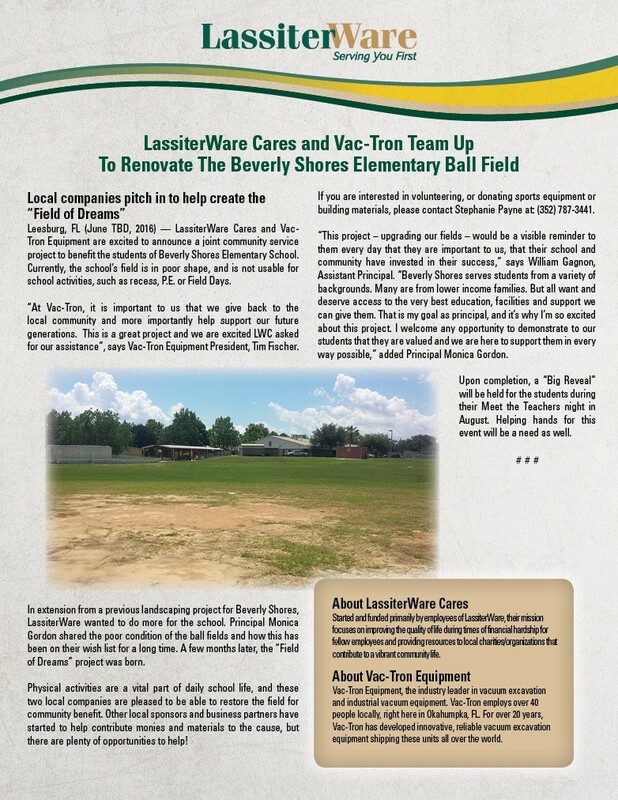 Improvements coming to Beverly Shores Elementary Ball Field!! !